The Book Racks are Made of Strong Wire that Will Last for Years! 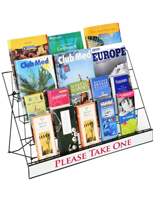 The Merchandise Displays are Ideal for Fast-Paced Settings with a Large Amount of Customer Traffic. 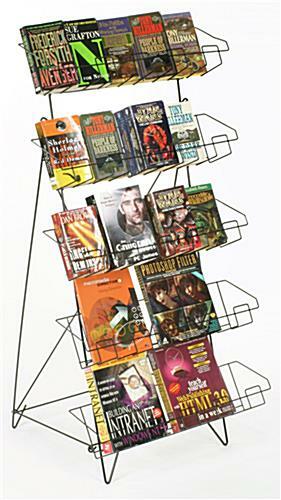 These Book Racks Will Make Impulse Buying for Customers Easy! 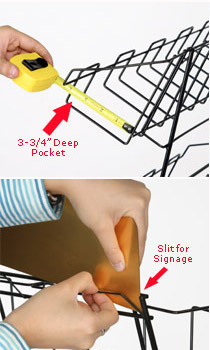 5 shelf merchandise display allows for placement of many items. Open shelf construction can accommodate cards, music, movies, and magazines. Design is long-lasting, lightweight, and easily moved! Holder is priced to fit into everyone's budget! These book racks fit many kinds and sizes of items into a small amount of space! 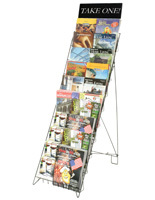 These stands are constructed of a lightweight, metal frame that is durable. 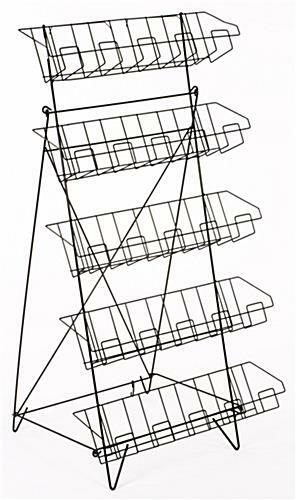 The book racks, called wire holders, have a visually appealing manufacture that is an open shelf design allowing for quick and simple browsing. 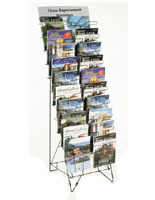 The print displays can also hold DVDs, CDs, greeting cards, and much more! 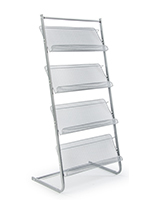 These wire organizers, book racks have 5 levels of showcase capability. 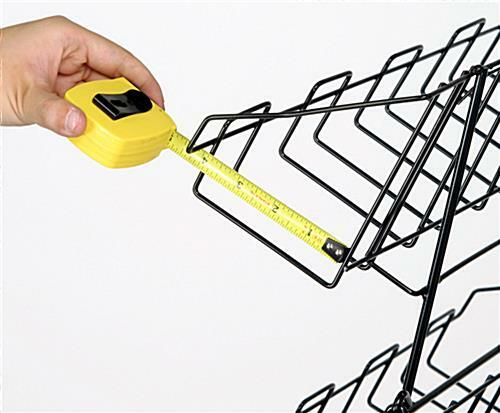 The open shelves have pockets that are 20" wide for versatile placement of goods. 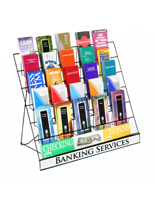 The book racks that are durable have a powder-coated finish and are covered in gloss black paint. 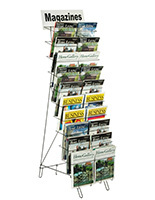 The merchandising stands have a classic look and match just about any décor. The book racks have at the rear of the stand a place for inserting a sign at the top of the display. The header that states "Books of the Month" is shown as an example of how your signage could look. 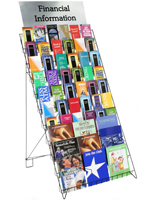 These book racks are portable and are able to be collapsed for easy storage. 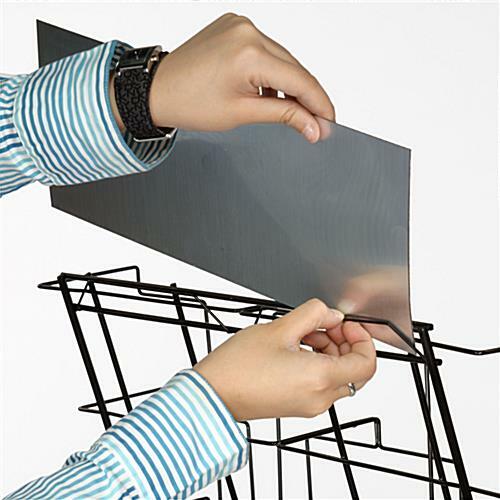 The folding nature of the displays make them quick set-up and tear-down items.